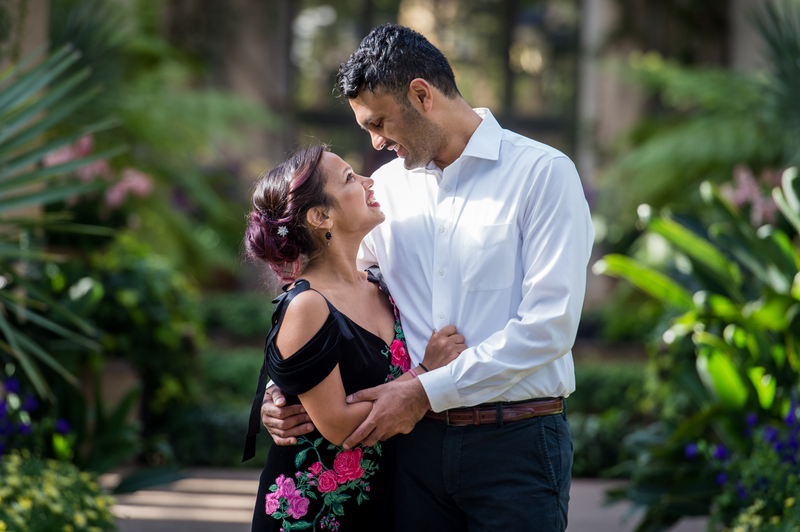 As one of the most famous botanical gardens in the United States, Longwood Gardens is one of the first places that come to mind for “beautiful portraits outdoors complete with a garden in the background that I could pretend is my own but could really never have”. Don’t worry. We’re right there with you. 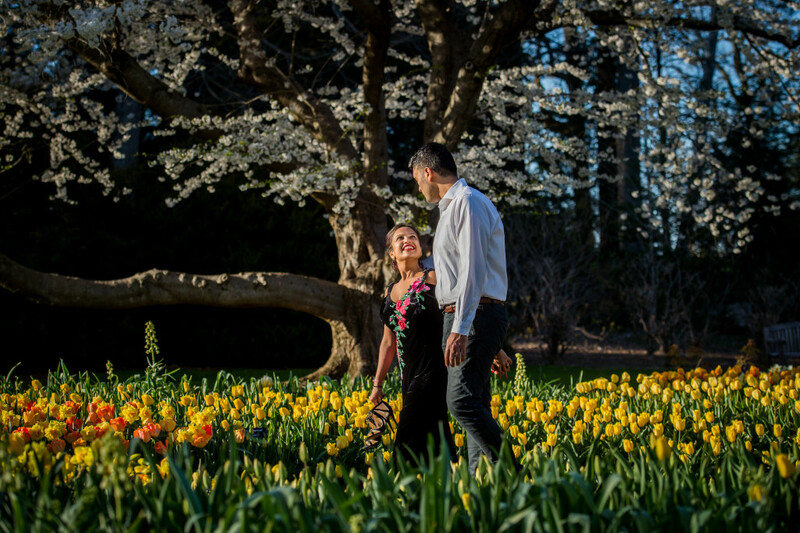 Longwood Gardens deserves its status with more than 1,000 acres of gardens, meadows, and fields to explore and shoot. However, what does it take to get those perfect shots at Longwood? JPG photographer Chloe weighs in on how to achieve what may seem impossible. 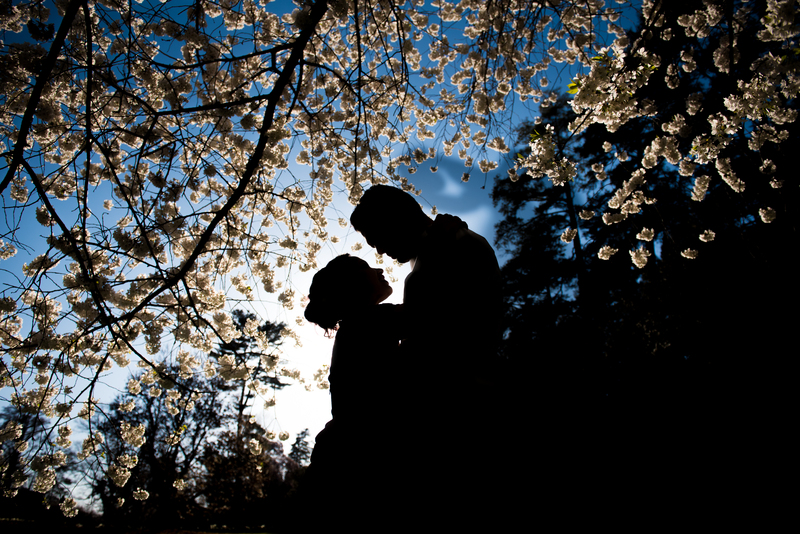 Longwood Gardens often has thousands of people visiting the gardens at any given time. 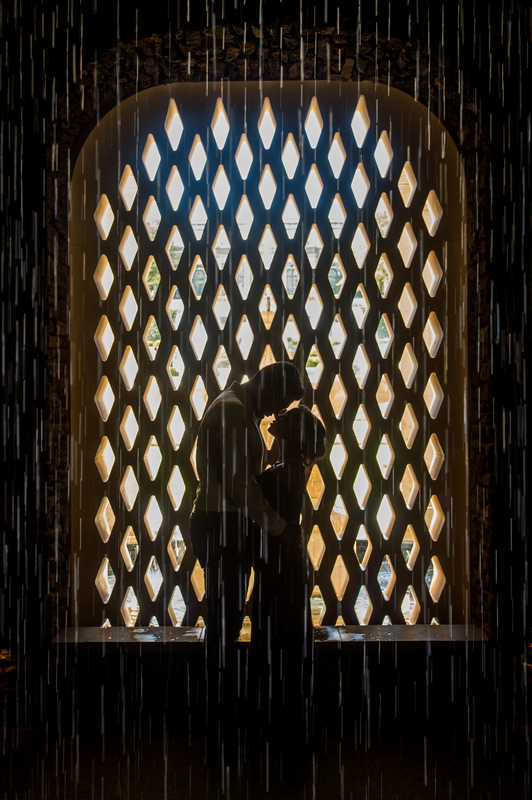 How do you take photos that make it look like a couple is in their own little world in the photos? Patience is a virtue, and the key to getting the perfect shot at a location like Longwood. It’s very rare that a photographer can walk straight into the room or other location and start taking those gorgeous portraits you’ll see as the final product. Here’s how to play the waiting game. Schedule the shoot for right when Longwood opens, or an hour or two before they close. In addition to it most likely being less crowded, the lighting is much more ideal for outdoor portraits. Wait for the crowds to move away from the location or angle you’re eyeing. Remember that other guests also paid for their tickets, so let them take their time. In the meantime, prep your shot and settings. Most people won’t walk into a shot if they see a photographer in action. This natural avoidance is rooted in politeness, and not wanting to be photographed by someone they don’t know. People will hang back and wait. If it seems like they just want to pass through, hit pause on your shooting. This also gives your clients time to adjust their pose and relax for a moment. Longwood has very strict rules on photographers not interfering with other guests’ experiences. How do you work around this? As a photographer, you don’t want to accidentally ruin someone else’s experience at such a busy destination. This is unprofessional, and also just rude. In addition, negatively impacting other guests will (rightfully) prompt Longwood Gardens staff to ask you to leave. To avoid any misunderstandings between you and other guests, reserve a healthy amount of time with the clients. We recommend scheduling a minimum 90 minute session as a photographer who knows the location, and at least two hours if you haven’t shot there many times. Coordinate with your client to form a plan. Do they want to spend more time in a tree house like the Canopy Cathedral, or really focus on the Mediterranean Garden? Do some research, coordinate with your client, and prioritize locations in order to make the most of your time there. Longwood is beautiful. It is also large. 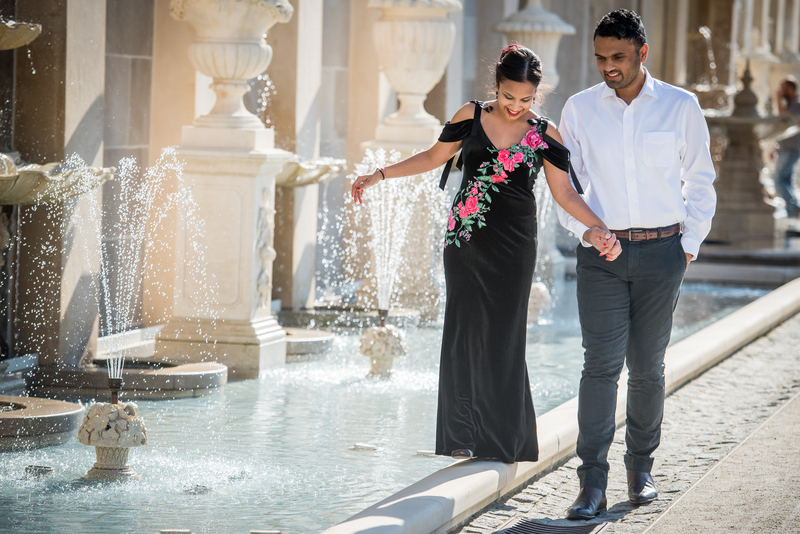 If you are looking to shoot in multiple locations throughout the Gardens, be prepared to move. Bring minimal belongings, as you will just be putting them on the ground. Encourage your clients to come prepared with comfortable and weather appropriate attire. Wearing layers is helpful. By all means, try to talk your female clients into leaving the stilettos at home. If clients are wearing heavy makeup and are worried about shine, encourage them to bring a small clutch with powder and mattifying wipes. There is infinite possibility for stunning shots. Some advanced planning will help you figure out what your clients are looking for, but also respond to what you see in the moment. Your clients may not anticipate getting excited about ferns, but anything can change! Longwood is constantly changing. You may not be able to replicate some of the shots you get in one session a different shoot even a week later, so aim for lots of variety in order to get the most one-of-a-kind photos. The East Conservatory is a fantastic location to to shoot “outdoor” portraits in the winter. This stunning greenhouse has so much light and foliage that it will be difficult to tell the subjects are inside, if they want to try to disguise that a little bit. What kind of Longwood shoot would you want to do next? 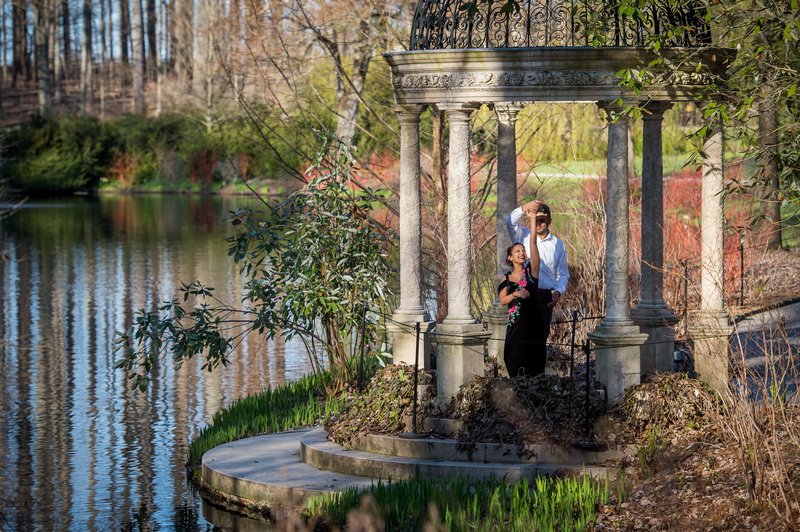 These photos are from the most recent Longwood portrait session.